Our product range includes a wide range of perforated metal cable tray, perforated cable tray, ss perforated cable tray, rush cable tray, horizontal bend cable tray and gi perforated cable trays. Perforated Metal Cable Tray produced at our facilities are but appreciated with clients. We have raw material of highest quality to help prevent static charges emanation while in use. Our commitment to client satisfaction is most well known in the market circles. The customer feels free in discussion the features and subsequently suggest changes to various shapes and sizes of the product. 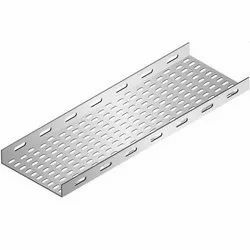 We are engaged in offering a wide assortment of Perforated Cable Tray. 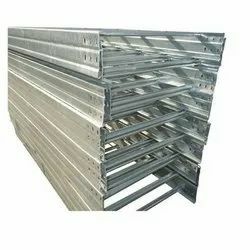 We are leading manufacturers of a huge gamut of these SS Perforated Cable Trays. They can be used at various applications. 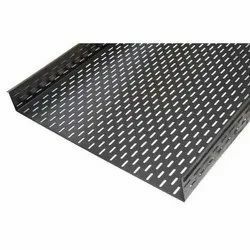 Perforated cable trays are efficient and durable due to the usage of quality materials while manufacturing them. 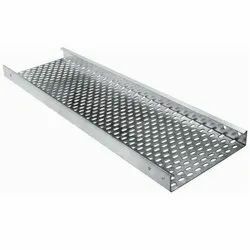 Perforated cable trays are specially designed using latest technology and grade quality material of mild steel, stainless steel and GI aluminum as per the international standards which are available in various sizes and shapes at competitive rates. We have gained expertise in manufacturing, exporting and supplying a wide range of Rush Cable Trays. 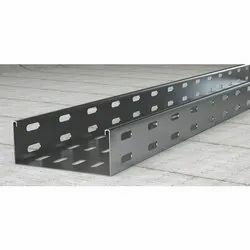 These rush cable trays are manufactured under the guidance of our expert professionals, who make use to utilize optimum quality raw material and advanced technology in the manufacturing process. 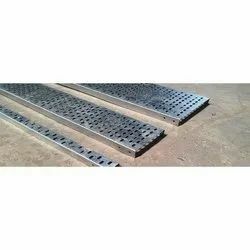 The cable trays offered by us are widely demanded by the customers for their corrosion resistance, high load bearing capacity and accurate dimensions. Our offered trays can also be customized as per the demands of our customers. We are engaged in manufacturing, exporting and supplying superior Horizontal Bend Cable Tray. 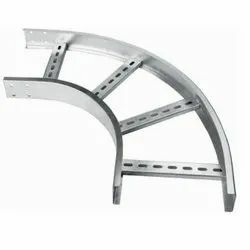 These ladder type bends are fabricated using the excellent raw material as per the international standards. We test our range on various parameters before dispatching to ensure a flawless end product. Horizontal bends cable tray can be availed as per the specific requirements of our clients. Our clients can also avail from us bend on erection with a 90-degree bend in structure. These are developed using quality raw material like low alloy steel, stainless steel, nickel-based alloys and mild steel. Our experienced workforce, who has in-depth knowledge about the pipelines and pressure vessels, precisely constructs these bends. We design the complete 90-degree bend according to the requirements stated by our clients. Looking for Perforated Cable Tray ?